Funko is moving the chains with their NFL Wave 4 Pop! vinyl figures! This NFL Ben Roethlisberger Steelers Color Rush Wave 4 Pop! 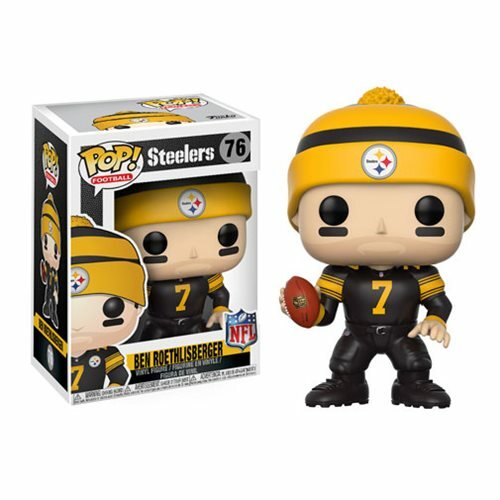 Vinyl Figure #76 features the star player of the Pittsburgh Steelers in his color rush uniform. This figure stands about 3 3/4-inches tall in Pop! Vinyl format and comes packaged in a window display box. Ages 3 and up.